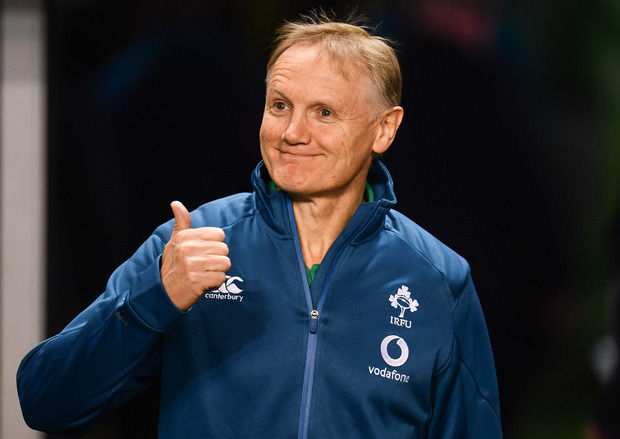 Speculation is mounting about the futures of Steve Hansen and Joe Schmidt with both expected to reveal their post-World Cup plans in the coming weeks. The rumour is that Hansen will be promoted to a director of rugby role with the Kiwis after the tournament in Japan next year. That would leave the head coach position available and current All Blacks assistant Ian Foster and Ireland's head coach appear to be the front-runners for the position. Schmidt's stock has certainly risen in 2018 after he led Ireland to the Grand Slam, a series victory in Australia and a first win over New Zealand on home soil. Speaking on Off The Ball AM, former Ireland back row Alan Quinlan said that he had sounded out All Black legends last week and they revealed that Schmidt hasn't figured in a lot of chat about the position in his homeland. "I spoke to Jeff Wilson last week and I was asking him and Justin Marshall: 'What's the talk back home in New Zealand? '," he said. "There's no major talk about Joe Schmidt coming back, they know what he's achieving and people know he's doing really well with Ireland had done with Leinster but the talk is that Steve Hansen is going for a director of rugby role and there will be a possibility of a position. "There's talk of a similar thing happening and that Ian Foster will step up and take the head coach role and Hansen will go into that director of rugby role. "I don't think they're going to panic and go, 'We have to get Joe'. They'd be foolish not to take him if he was available but I don't think there is any kind of planning going on in the background. "I think if he's leaving the job, he going back to New Zealand with his family. Listen, he can take any job he wants. Any of the Super Rugby franchises back there, everyone will want Joe if he goes back to the southern hemisphere." With the IRFU already believed to be lining up Stuart Lancaster and Andy Farrell as Schmidt's replacements should he depart, Quinlan believes Ireland are in a good position either way. "I think if he goes from Ireland, his next job is the New Zealand head coach. I fear it's going to happen," he added. "I don't think there is a major panic. I think if he does leave, what would he would leave behind is a level of detail and coaching that will stay with the group of coaches."